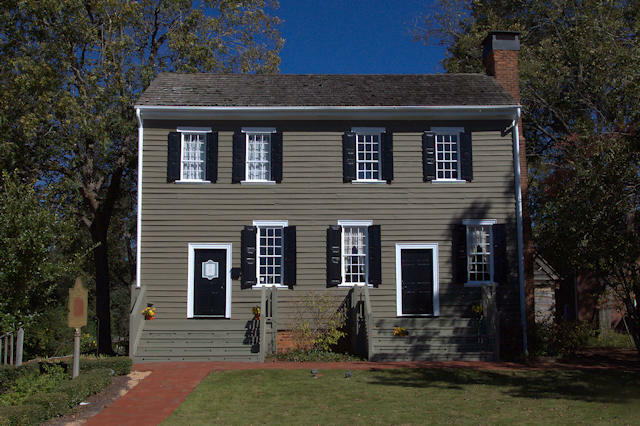 When the Eagle Tavern was added to the National Register of Historic Places in 1970, it was thought that it was constructed sometime around 1820, but subsequent research has set the date around 1801, possibly earlier. The location of present-day Watkinsville was still a part of the Cherokee and Creek territories when the tavern was built and the seat of the original Clarke County before Athens existed. It’s one of just a few stagecoach, pre-railroad era public structures surviving in Georgia. In 1836 Richard C. Richardson bought the tavern and made numerous additions over the years. In 1934, the tavern was saved from destruction by Lanier Richardson Billups, who deeded it to the state of Georgia in 1956. Under the direction of architect G. Thomas Little, Richardson’s additions were removed, revealing the Plantation Plain original section we see today. It is now home to the Eagle Tavern Museum.